There's no getting around it; society is more aware than ever that our world is in danger of being consumed by harmful chemicals and dangerous emissions. Over the past decade, people have made the effort to become more aware of their environment and Mother Nature, and this has given rise to new, eco-friendly alternatives where certain services are concerned. Most prominent among them is the big city courier service. Throughout the city, green couriers have been popping up everywhere to keep up with today’s demand for a cleaner, more eco-conscious delivery system. Here, we give you the top three green courier services in Toronto. 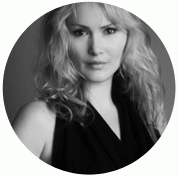 Rare is the company that operates with the code of ethics that Turn Around Couriers does. It’s been changing the lives of Toronto’s at-risk youth since 2002. Only at-risk youth are hired to work in its back office and among its fleet of bicycle couriers. “This affords job-ready young people a chance to gain the experience, confidence, and financial means they need,” states the company’s website. Richard Derham, the company's founder and president, adds, "What has proved to be very interesting is that the youth who come to work here are so keen to succeed and turn their lives around that I feel that their level of drive and determination is higher than a regular hire, which results in a higher level of customer service for our clients." Their dedicated team of courier cyclists and walkers services the city’s downtown core, servicing the GTA with environmentally friendly delivery. The company offers its customers a competitive pricing scheme along with a wide range of specialized services, including the popular ASAP service (deliveries are guaranteed within thirty minutes of placing a pick-up request). Derham goes on to state that his courier business is "profitable and growing." 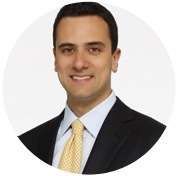 He explains, "I would say that without our social mission, we would have significantly fewer clients." So customers are delighted to use and support a service that gives at-risk youth a much-needed opportunity. This courier service is a subsidiary of Secured Courier, which has been serving the City of Toronto for over 20 years. 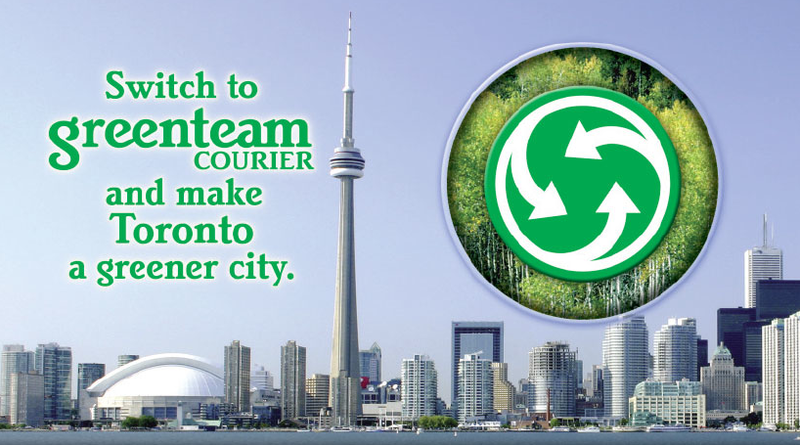 Greenteam Courier is dedicated to reducing harmful emissions while providing friendly and efficient service throughout the city and the Greater Toronto Area (GTA). "As our business has evolved, so has the city," says company manager Greg Linton. "One of the key issues facing the downtown core is traffic congestion, gridlock, and increasing pollution. As various civic groups and organizations work to address this problem, I have decided that there is something that we can do that will provide part of the solution while improving service to our customers. We are going green," he says. So far, the company has pulled a total of 60 of its motor vehicles from the road and replaced them with a team of cyclists, walkers, and TTC Metro Pass couriers (who can access the city’s entire subway system). Delivery vehicles are still in use within the GTA, but coming up in the next couple of years, Greenteam Courier plans to replace its current fleet with hybrid vehicles. Its website advertises no gas surcharges and no emissions and has put in place an annual tree planting ceremony, acknowledging the importance of environmental awareness in such wasteful and harmful times. One of the only green couriers in the city that offers one-hour service, Hurrier is a popular choice for those in need of rush delivery. Its fleet of bike couriers services the downtown core while offering highly competitive rates, reliability, and professional work ethics. Packages aren’t necessarily limited to business documents either — Hurrier will deliver any type of package, whether it's business-related or a week’s worth of groceries! As an added bonus to its customers, this green courier is affiliated with a slew of shops and restaurants (Shoppers Drug Mart, Lit Espresso Bar, and Di Liso's Fine Meats, to name a few) throughout the city. This makes Hurrier's service more convenient for all of the savvy shoppers out there. Check its website for a full list of featured shops and place your orders directly through each retailer to ensure the safe, efficient delivery of each item. By using one of these green courier services, you'll help reduce gridlock on Toronto’s busy streets, reduce harmful vehicle emissions, reduce overall service costs, and eliminate the need for fuel surcharges while increasing environmental awareness. You should feel proud of yourself for taking the initiative to make the greener choice when it comes delivering your time-sensitive items and packages. These companies are dedicated to offering you the most reliable, efficient, and cost-effective services using their completely green fleets of walkers, cyclists, and eco-friendly vehicles.